Anglicans Online has collected a vast array of information that may help shed some light on aspects of the 80-million member, worldwide Anglican Communion. They hope you'll find the material interesting, entertaining, even challenging because Episcopalians believe that Jesus Christ came to take away your sins, not your mind. Official site of the worldwide Anglican Communion. The Revised Common Lectionary (RCL) and Book of Common Prayer (BCP) lessons are given with links to the texts. 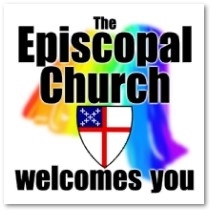 A place where Episcopalians and those interested in our church can read, watch, listen and reflect upon contemporary life in a context informed by faith and animated by the spirit of charity. Providing access to Christian classical writings including Saint Augustine, John Calvin, Martin Luther, and many more.